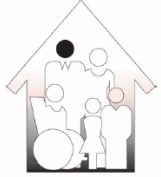 The Fair Housing Council of Central California is a professional, non-profit, civil rights organization dedicated to the elimination of discrimination in housing and the expansion of housing opportunities for all persons. Call the Fair Housing Council of Central California, at 1-559-244-2950, if you think you have been the victim of housing discrimination because you are an immigrant or a refugee, because of where you are from, or because of your religious faith. Some landlords, owners, real estate agents, etc., might ask if you are in the country legally, ask to see your green card or visa, or ask for your social security number. If you think that you are being asked about your immigration status because of where you are from, call the Fair Housing Council of Central California. YOU ARE ALSO PROTECTED IF YOU ARE BUYING A HOME OR ATTEMPTING TO GET A MORTGAGE. Call the Fair Housing Council of Central California if you believe you are being prevented from buying a home or getting a loan because of your immigration status, refugee status, or your religion. *There are some exemptions from the fair housing laws. Please call the Fair Housing Council of Central California even if you think your landlord may be exempt from the law. Disclaimer: This website is not intended to provide nor does it provide legal advice. FHC-CC is not responsible for any third-party content that may be accessed through this site.